For more information, contact Myra Wilson.2025@osu.edu or Anne Johnson.6754@osu.edu. Are Your Employees All the Way In? Employees can be fully “in” and performing well, checked out and simply filling space, or somewhere in between. This is called “employee engagement,” which can affect job satisfaction, productivity and teamwork. According to Gallup®, “… only 13% of employees worldwide are engaged at work.” Is this why we should care about employee engagement? 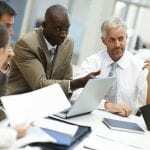 Gallup has conducted research for years regarding various levels of employee engagement and what those mean in terms of performance and business success. Robyn Reilly of Gallup advises in her article, Five Ways to Improve Employee Engagement Now, “Converting this group of (not engaged) employees into engaged workers is the most effective strategy that any organization can implement to increase performance and sustainable long-term growth.” This begs the question: How do we get employees more engaged? The late Dr. Donald Clifton of the Gallup organization spent decades researching human nature and organizational behavior. 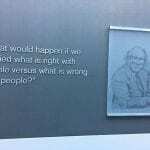 One of my favorite quotes from Dr. Clifton, who founded the strengths movement, is: What would happen if we studied what is right with people versus what is wrong with people? Performance management has always been focused on trying to find ways to “fix” weaknesses in employees to make them better rather than looking at and enhancing their strengths. Weakness-fixing only prevents failure, whereas strengths-building leads to excellence. Building on the strengths movement, Gallup research has shown that organizations that focus on their employees’ strengths and who use their strengths every day are six times more likely to be engaged in their jobs and three times more likely to report having an excellent quality of life than those who don’t. In addition, employees who know their strengths are also 8% more productive and teams that focus on strengths everyday have 12.5% higher productivity. Our society has few, if any, places where people can learn about their talents, in order to capitalize on their strengths. Think about it: if workers understand their strengths and those of their team members, they are more likely to find their work to be rewarding and motivating. While on the job, those same employees are more likely to be involved, “here” instead of somewhere else mentally or just waiting until their next break. Alber Enterprise Center has found CliftonStrengths® to be a valuable set of tools and a mindset for providing a pathway to better understanding and more creative, positive ways to get things done – together. Organizational leadership and management practice; vision, mission and values; and business performance, structure and value creation are all positively affected by focusing on individual strengths and how they build a cohesive team. To learn more about how to bring out the best in your people and work toward increasing employee engagement, please contact Alber Enterprise Center, alber@osu.edu or call us at 740-725-6325 to start the conversation. Have you ever been on a really great team? Why was it great? Great teams that accomplish amazing goals and are enjoyable to be on do not happen by accident. 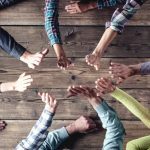 It takes a savvy team leader and team members who are willing to risk sharing their unique strengths and differences for the good of the team. How do we build these great teams and what are some of the pitfalls to avoid? Building great teams starts with building a strong foundation of respect and trust. Without these, the team will always struggle with communication, judgmental attitudes, personal agendas, and lack of valuable transparency. Teams that have a foundation of trust perform better. According to Paul J. Zak in his Harvard Business Review article, the Neuroscience of Trust, employees of high-trust companies as compared to low-trust companies report: 74% less stress, 106% more energy at work, 50% higher productivity, 76% more engagement, and 29% more satisfaction with their lives. Wow – who wouldn’t want to be part of this team! Given the strong importance for trust, why is it team members do not respect and trust one another? I believe we need to take a good look in the mirror and determine to stop thinking the worst of our teammates. We need to expect the best and not jump to negative conclusions. We need to get rid of the stereotypes we think, believe, and act on about one another. If we want to be part of a great team then it is time to start giving our teammates the benefit of the doubt, to trust them, to forgive them, to put ourselves in their shoes, to encourage them, and to share credit with them. In fact, when we start thinking positively about one another, amazing things can happen. Admittedly, I have on a few occasions been part of “the meeting-after-the-meeting”. You probably know this pitfall too. 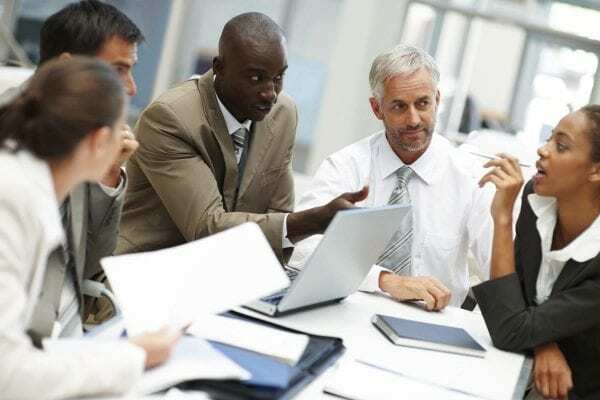 It goes something like this: you sit through a meeting where the leader and maybe a couple of teammates do all the talking, enthusiastically make the decisions, and then the meeting ends with you feeling confused, in disagreement, or with a lack of energy. At this point, the “meeting-after-the-meeting” occurs. You stick around afterwards commiserating with another teammate about the terrible decision or you huddle somewhere to criticize and complain. If we want to be part of a great team then we need to risk speaking up during the meeting and sharing our thoughts, ideas, and disagreements. Obviously, we need to be respectful but if we do not speak up, the team misses out on valuable input and possibly the best idea for great success. Let’s decide today to stop “meeting-after-the meeting” and make sure each team member is encouraged to respectfully speak up, ask questions, and voice concerns. Which is better, my idea or the best idea for the team? If you have ever been part of a great team, you probably responded with “the best idea for the team”. Unfortunately, we often refuse to truly embrace our teammate’s ideas. We may not outwardly say it but rather our refusal plays out in subtle ways. We don’t take part in the follow up, we lack energy to stay on task, or we just plain do not do our part. I may talk a good game about wanting the team to succeed but when their ideas do not benefit me or my personal goals, I may have a tendency to protect my own idea. If we want to be part of a great team, then what is best for the team is to tap into and embrace ideas from all team members. I need to let go of thinking my idea is the best idea and trust the collective team for the best idea. After all, “none of us is as smart as all of us.” What holds you back from embracing change and others’ ideas? Consider your motives and ways to overcome the fear of the unknown. Once we accomplish this, then we are well on our way to becoming a great high performing team! Serving Leadership is a Verb! Serving Leadership is a Verb; Action Is Required! Much has been written about the concept of servant leadership. 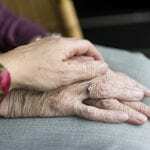 It can be a bit confusing due to the term “servant.” For some, it conjures up an image of a person hired to perform personal domestic duties, with little input toward planning and resources. Others tie it to a philosophy of unquestioning submissive service to others. That sounds like my idea of leadership. The use of the word “intentional” is the key. There is serious thought in leadership; it is not random. There is foresight and planning; it is not accidental. We are deliberate and purposeful in our actions; not haphazard. Add to that the idea of leadership as serving others – to help, assist, aid, and make a contribution to – and we have a powerful declaration of our role as leaders. Serving leadership is intentional influence to actively support the people and goals of the team or organization. Let Alber Enterprise Center help your front line and mid-level leaders develop the practice of serving leadership. Our workshop “Leading the Challenge and Finding your Strengths” is the first step toward reducing turnover rates, increasing revenues, and improving quality. 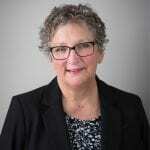 Eleanor E. Biddulph is an operations effectiveness consultant and emerging leader coach. As a Leadership Studies graduate from Otterbein University, she has honed the skills necessary to lead a dynamic, complex and rapidly growing organization. 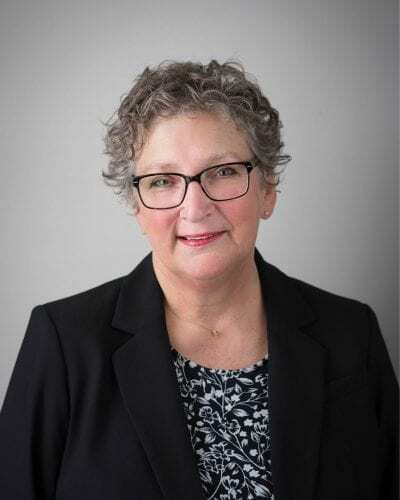 Eleanor has been trained as an enhanced level Narrative Coach through WBECS (World Business & Executive Coach Summit) and recently joined Alber’s roster of expert solution providers. CliftonStrengths is an assessment that can be taken (over 19 million people have) to identify your Top 5 Strengths (you can also unlock all 34 of your strength themes). You can then take a deeper dive into your strengths, see where they play out in your life, both professionally and personally. What you will most likely find is that areas where you excel can in some way be tied back to one of your Top 5 strengths. For example, Relator is my #1 strength. The definition of Relator is, “People who are especially talented in the Relator theme enjoy close relationships with others. They find deep satisfaction in working hard with friends to achieve a goal.” Relationships, deep and meaningful, have always been an important part of my life, in general. In my work as an Organization Development Consultant, it is all about developing relationships. This is one of the most rewarding aspects of my work and it is something I enjoy very much. Another strength, called Woo (winning others over), is defined as, “People who are especially talented in the Woo theme love the challenge of meeting new people and winning them over. They derive satisfaction from breaking the ice and making a connection with another person.” This is not a strength of mine. Walking into a room of people I do not know is very difficult for me. WOO is #30 out of #34 for me. In those situations, I leverage my Relator and try and meet 1 or 2 people, rather than “work the room” and talk with everyone. A group of leaders in Hardin County are currently going through an eight-session community leadership development program. This is for adults who aspire to or find themselves in elected, appointed or volunteer leadership roles in their communities. One of the key objectives is to offer educational experiences which will allow participants to explore who they are and how they are uniquely gifted for the work of leading. **I found the different strengths very interesting. This helps understand the different thought processes that people have. **I can’t think of other people’s strengths as weakness just because they don’t align with my strengths. **How to use my strengths to my advantage and to the team I’m building. **Knowing others’ strengths can help you work together in a work environment. There are so many ways to embrace your strengths. According to Gallup, “The highest level of performance comes from those who focus on strengths while managing weakness.” What you will find by taking this assessment is insight and understanding in a way that you most likely have not experienced before. Or, another way to put, you might have a light bulb moment! Take the opportunity to get to know yourself in a whole new way. You won’t regret it. Credibility is the fundamental trait that every excellent leader must embody. The traits of a credible leader are demonstrated by their words. How many of these do you say on a regular basis? Great leaders get things done through others. So after setting a clear course ahead, they ask regularly, “What do you need?” After all, to ensure that our teams succeed, we must make sure they have everything they need. Knock down obstacles, provide resources, guidance, and clarity. We serve them so that they succeed. Great leaders don’t jump to conclusions, but hear out the full story so they can make better decisions. Our team members crave being heard and when there are two sides, both sides want a full hearing. Ask for details. It’s the details that matter. This runs counter to our culture of a fast pace and too much to do. Great leaders know when to step back, slow down, and intentionally focus on the matter at hand. If your team ever gets off track or is having trouble with a decision, elevate the discussion and go back to your core values. It brings clarity and focus on what truly matters most. On a regular basis, insert your core values into any discussion and watch how it fosters ownership and engagement. Foster more trust with your team by expressing your trust in them. This says you believe in them and have confidence in their skills and abilities to get the job done. When we give others a great reputation to live up to, they will strive to reach it. Great leaders celebrate and talk about high performance. They cultivate gratitude when effort is shown, goals are met, or just when everyone pulled together. It’s inspiring when it happens and great leaders talk about proud stories of achievement. So, how did you do? How many of the above have you said to your team? Less than perfect? No problem. Let this be a reminder to say what highly credible leaders say. Here at the Alber Center, we have a passion for helping leaders be their best. If this short article was useful, please consider partnering with us to help make this year your organization’s best ever. Leadership matters and it would be an honor to come alongside you to foster the leadership that builds healthy, high-performing teams. In the “staging” area, about to start pedaling with hundreds of others in the 10th annual Pelotonia cycling event for cancer research. Pelotonia. You’ve heard about it, no doubt, from the thousands of riders, corporate sponsors, co-workers, friends and neighbors. In fact, many of you are likely riders or volunteers. Born from a mission to mobilize people toward one goal – to end cancer – Pelotonia has become a sustaining and far-reaching movement. The green arrows that are part of the brand identity can be seen in front of rural farms and as murals on the side of skyscraper buildings. 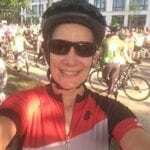 This is about my first experience with Pelotonia – as a rider this 10th anniversary year on August 4, 2018. 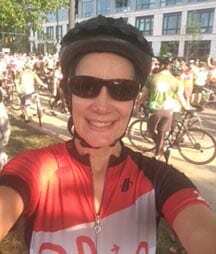 While I had participated in other organized bike races/fundraising efforts in past years, I had hesitated to ride in Pelotonia because of the sheer numbers of participants. “The Greatest Team Ever” and over 8,000 bicyclists had seemed overwhelming and daunting to me. I had thought, with that many riders, how can it be well organized? Will I be “safe”? I rode this year because I decided to step out of my comfort zone just a little – for my sister, Rachel, who suffered cancer twice in her life and fought the battle until August 25, 2012. I rode for my dad, who lived until nearly age 80 after his diagnosis of prostate cancer that was caught too late. I rode for my niece, Karen, my neighbor, Trish, and my sisters-in-law Adrienne and Marcy – all of whom have survived breast cancer. And so many others. While I raised $1,685 for cancer research, I also raised my level of gratitude, humility and awareness of the far-reaching effects of cancer. To say this was an eye-opening experience would be an understatement. I was fueled by people whom I met before and during the 45 mile trek. I had intended to ride with the Team Marion cyclists – some riding the century and others in the 45 route, like me. However, God must have had other plans for me because they hit the road early and I was left to find other cyclists to keep me company…not a difficult feat by any stretch! I’m a people-person, and before I had even checked in at the registration table – where volunteers cheered for me as a first-timer – I met a couple from my little hometown of Bellville, Ohio. 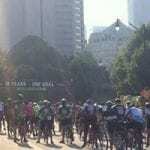 This Pelotonia rider couldn’t agree more. To effectively deal with the four generations of employees and customers, we first need to get to know them. In general, this generation is probably the most materialistic of the four. The attendees of my workshops theorize as to why the generations act the way that they do. One attendee speculated that Baby Boomers are so materialistic because many of their parents, who were Matures, struggled financially while they were growing up. Therefore, Matures instructed their Baby Boomer sons and daughters, “We don’t want you to deal with the hard times that we had to endure. Go make something of yourselves!” So Boomers did. Millennials desire work that is personally rewarding. Because, unlike Baby Boomers who live to work, Millennials only work to live. They believe in Y.O.L.O. – you only live once – so you need to experience all that life has to offer, especially outside the job. This generation likely wants a boss who is more like a coach or mentor; they dislike bosses who are formal or hierarchical. 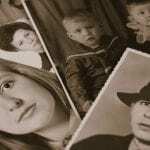 What percent of today’s adults are currently married with children compared to Baby Boomers of the same age? What percent of Millennials expect to stay on the job for less than three years? The key to success in dealing with each of these four different generations is the platinum rule – do onto others the way that they would like to be done unto. Hazardous waste generator improvements are coming! These changes are good, but will require generators here in Ohio to review their hazardous waste programs and be prepared to incorporate these changes by May 2019. New definitions, requirements and regulatory references have been established for all categories of waste generators and also changing the smallest waste generator category known as Conditionally Exempt Small Quantity Generators (CESQGs), to now be called Very Small Quantity Generators (VSQGs). All the changes are far too extensive to cover in a short blog, but some of the most significant changes will be covered. EPA has revised quantity limits for acute hazardous wastes (1 qt for liquids and 1 kg for solids) at satellite accumulation points as well as marking requirements on hazardous waste containers at satellite accumulation points. Containers must still be marked with the words “Hazardous Waste” but now also have markings indicating the “Hazards” of the waste. For Small and Large Quantity Generators, Satellite Accumulation Points must now meet generator-specific emergency preparedness and planning requirements, which previously only applied to a generators 90-day or 180-day centralized storage areas. Requirements pertaining to emergency preparedness have been expanded to include posting emergency response information “next to telephones or in areas directly involved in waste generation and accumulation of hazardous waste”. Further, all Large Quantity Generators (LQGs) will be required to prepare and submit to local first responders or the Local Emergency Planning Committee (LEPC) a Quick Reference Guide. Many generators have been forced to scramble to meet higher generator category requirements or take the risk and liability of being in non-compliance when unplanned (or even planned) hazardous waste generation causes the generator to exceed their normal generator category limits. Under the new rulemaking, EPA allows for a one time episodic hazardous waste generation event (planned or unplanned) allowing a VSQG or SGQ to remain in their normal waste generator category. Reinforcement: What, Why, & How? Reinforcement – What, Why & How? How effective is your organization’s training? According to the Association for Talent Development (ATD), 90 percent of training is forgotten within days no matter how skillful or engaging the trainer is. If research studies are accurate, very few of your learners have actually changed their behaviors as a result of training. Reinforcing knowledge and skills learned in training or professional development programs is a process that takes time and strategic investment. Ultimately, your training will be more effective because of reinforcement. One explanation – and one aspect to reinforcement – is the Ebbinghaus Retention Curve, which displays the percentage of a topic that we recall after paying attention to it repeatedly. Named for psychologist Herman Ebbinghaus, this concept is about teaching people to remember something important. 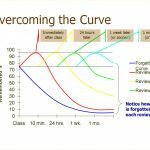 Ebbinghaus hypothesized that it is much harder for learners to retain something that is not meaningful to them, and that learners will have more success if the learning is stretched out over a period of time, instead crammed into a short burst. However, remembering information is only part of the issue when it comes to training and development. Changing behaviors and/or developing new habits based on one’s training – that’s the other part of the issue. A good reinforcement tool maximizes your training investment dollars and helps to change your learners’ behaviors. So how do you change behaviors? Training reinforcement focuses on changing old habits and developing new ones. “Without behavior change, you’re not reinforcing; you are only reminding.” – Anthonie Wurth. One of the founders of Mindmarker®, Wurth understood that your training content must be reinforced with small, bite-sized messages to engage the learner. More than a reminder service, Mindmarker® is considered the leader in training reinforcement. The three learning phases of your reinforcement program are: awareness, knowledge and skills, and behavior change. Of course, timing and content are critical to the process through each phase. Training reinforcement leads to better training practices, which creates superior performance results. A fully-integrated training reinforcement program helps decrease the amount of knowledge lost post-training. With the training dollars spent by businesses each year, it’s critical to obtain the highest ROI. 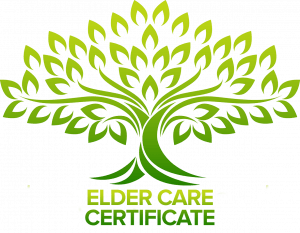 Alber Enterprise Center has been integrating post-workshop reinforcement for clients who want specific behavior changes in workshop attendees, and those clients have seen positive results. As you can imagine, instead of the normal 10-20% retention of the workshop material, clients are realizing a much higher return on their training dollar investment.